Holding a mysterious leather suitcase in his hand, Newt Scamander, a young activist wizard from England, visits New York while he is on his way to Arizona. Inside his expanding suitcase hides a wide array of diverse, magical creatures that exist among us, ranging from tiny, twig-like ones, to majestic and humongous ones. It is the middle of the 20s and times are troubled since the already fragile equilibrium of secrecy between the unseen world of wizards and the ordinary or "No-Maj" people that the MACUSA Congress struggles to maintain, is at risk of being unsettled. In the meantime, the voices against wizardry keep growing with daily protests led by Mary Lou Barebone and fuelled by the increasing disasters ascribed to a dark wizard, Gellert Grindelwald. 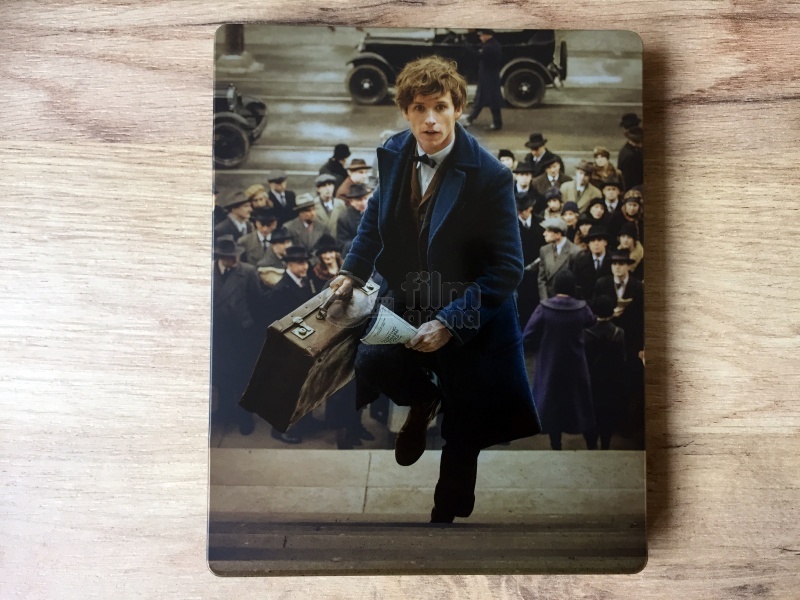 At the same time, by a twist of fate, Newt's precious suitcase will be switched with the identical one of an aspiring No-Maj baker, Jacob Kowalski, while demoted Auror, Tina Goldstein, arrests Newt for being an unregistered wizard. To make matters worse, with the suitcase in the wrong hands, several creatures manage to escape to unknown directions. Before long, this situation will catch Senior Auror Percival Graves' attention who will target both Tina and Newt amid panic caused by an invisible, devastating and utterly unpredictable menace that still wreaks havoc in New York's 5th Avenue. Is there a hidden agenda behind Graves' intentions and ultimately, what will happen to the remaining magical creatures still loose in the streets? In the year 1926, the dark wizard Gellert Grindelwald is terrorizing the magical community. Witches and wizards from all over the world are on high alert as he is preparing to launch his next attack. 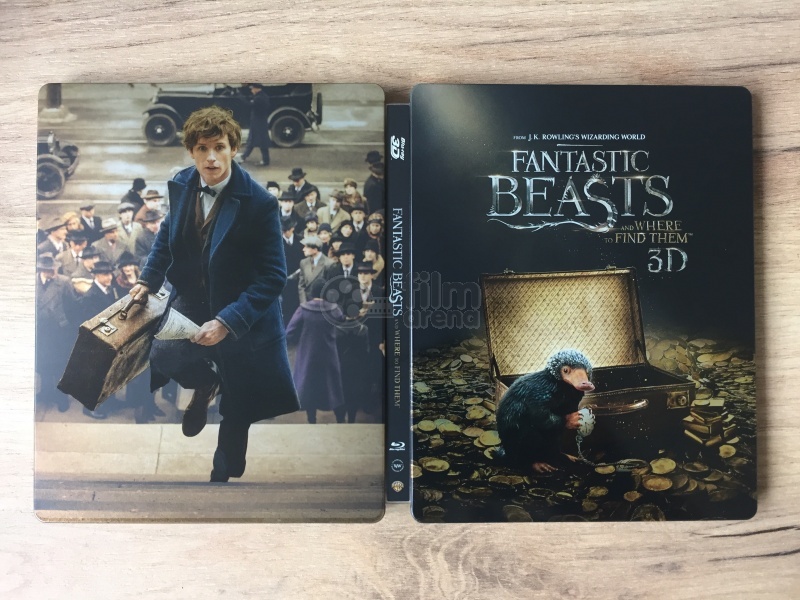 Newt Scamander (Eddie Redmayne) travels from London to New York City with a briefcase full of magical creatures, or "fantastic beasts". When he arrives to the city, his case is inspected by a customs official, but Newt is able to hide the magic from muggle eyes. Some men are inspecting a building downtown that has been torn through. The Auror Perciaval Graves (Colin Farrell) comes by to see the damage. An unseen force runs underground and destroys part of the street. As he walks through the city, Newt comes across Mary Lou Barebone (Samantha Morton), a fundamentalist and leader of the Second Salemers, an anti-magic group. With her adopted children - Credence (Ezra Miller), Modesty (Faith Wood-Blagrove), and Chastity (Jenn Murray) - she spreads a hateful message toward magic folk and how they need to be exterminated. 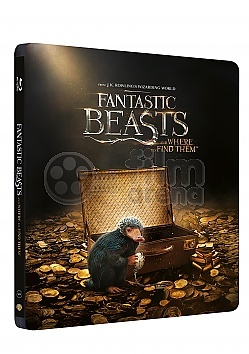 As she tries to get Newt to join her, a Niffler escapes from his case when it sees a shiny silver coin. It makes its way into the bank, forcing Newt to go after it. Inside the bank, Newt meets Jacob Kowalski (Dan Fogler), a factory worker who is there to secure a loan for a bakery he wants to open up. Newt runs off when he sees the Niffler, and he leaves an Occamy egg behind that Jacob picks up. 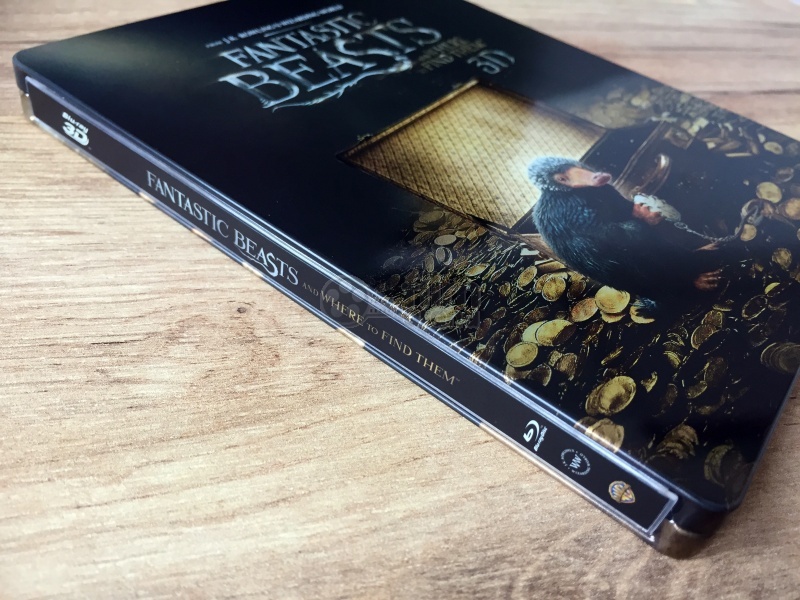 Newt goes for the Niffler while Jacob meets with a bank employee to get the loan, but since he uses baked goods as collateral instead of actual currency, he is denied. Before Newt can grab the Niffler, Jacob notes that the egg is hatching. Newt uses his wand to pull Jacob toward him, which is seen by Porpentina Goldstein (Katherine Waterston), an American witch. 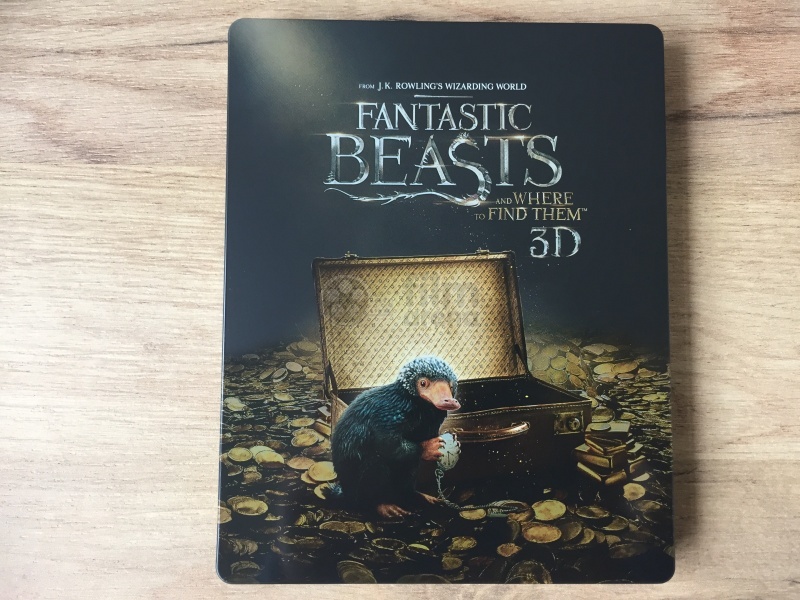 Newt and Jacob find the Niffler in the bank vault, just as the bank employee catches them. Newt petrifies him and gets the Niffler to drop all the things it stole before he apparates himself and Jacob out of the bank. Newt prepares to obliviate Jacob and wipe his memories, but Jacob grabs his case and hits Newt in the face before running off. Tina catches Newt and takes him with her after seeing what he's been carrying. Tina brings Newt to the headquarters of the Magical Congress of the United States of America (MACUSA) as a result of using magic in front of No-Majes (the American equivalent of muggles). The MACUSA president Seraphina Picquery (Carmen Ejogo) is not happy to see Tina there since she was once an Auror but was dismissed due to a previous incident. Tina takes Newt to her old office and is confronted by Graves and other Aurors. When Graves demands to see what's in the suitcase, they find that Newt grabbed Jacob's case full of pastries. 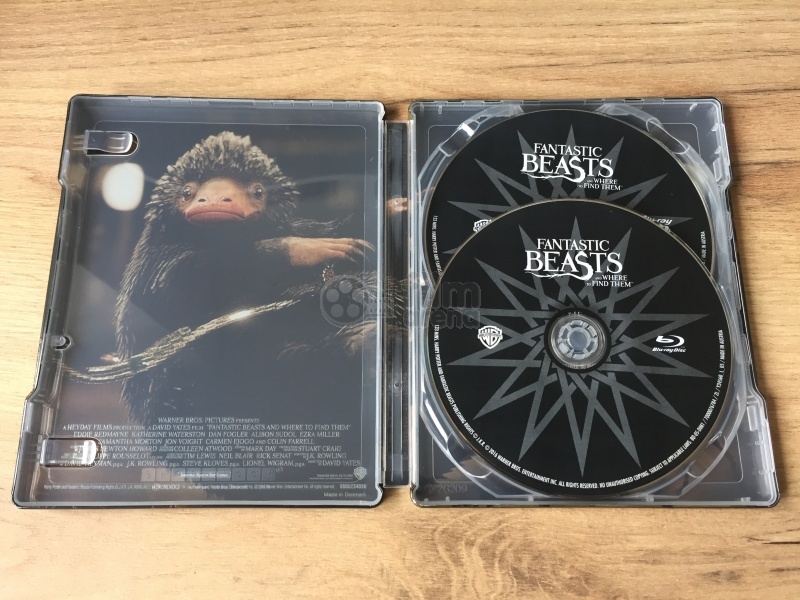 Jacob brings Newt's case into his apartment and accidentally opens it, setting loose a few of the creatures, including the Niffler. Mary Lou is seen operating an orphanage wherein she teaches children about the evils of the magical community. Modesty sings songs about killing witches, while Credence suffers physical and emotional abuse from Mary Lou. She takes the children to meet Langdon Shaw (Ronan Raftery), brother of Senator Henry Shaw, Jr. (Josh Cowdery). Langdon brings Mary Lou and the kids to meet Henry and their father, Henry Sr (Jon Voight), but both he and the senator dismiss the Barebones as freaks, which appears to irk Credence. Credence meets in secrecy with Graves, who needs Credence's help in locating a child with immense powers with the promise that he'll help Credence get away from his current situation. The three go to Tina's home that she shares with her younger sister Queenie (Alison Sudol), who is an expert Legilimens (she can read minds). Jacob is immediately smitten with her, and Queenie can see it but she doesn't mind. Newt and Jacob go to rest in their rooms, but Newt hops inside his briefcase and invites Jacob to join him. Newt gives Jacob a treatment for his neck wound and then shows him the various habitats made for the creatures that dwell in there. Newt shows Jacob a Thunderbird named Frank, which Newt claims is the main reason he traveled to America, so he can bring Frank to his natural habitat in Arizona. Jacob comes across a particularly dark entity encased in a bubble, called an Obscurial, which Newt orders Jacob to stay away from. He then asks for Jacob's help in retrieving the missing creatures. Jacob agrees. Newt and Jacob go on the town and find the Niffler trying to swindle a jewelry store. Newt chases the Niffler throughout the store while causing significant damage to the whole place. The cops arrive as Newt catches it. The cops are distracted when they see a lion walking through the streets, giving Newt a chance to apparate himself and Jacob out of there. The guys continue walking through the city and see other zoo animals running loose. They see another creature, the Erumpent, is wandering around. Newt gives Jacob a helmet in preparation for catching the beast, while Newt goes off and does a bizarre mating dance to lure the beast toward him. The Erumpent sees Jacob and goes after him, but Newt manages to pull it back into the briefcase. Tina, who has gone looking for the guys after seeing they weren't in their rooms, sees them catching the Erumpent. A conference is held for Senator Shaw in part of his bid for presidency. A rumbling shakes the entire building before an unseen and powerful force sweeps through the place before grabbing Shaw and slamming him to the floor, killing him. Henry Sr. goes over to his son's body while Langdon knows it's the work of witches. Graves interrogates Newt about the Obscurial in his briefcase. Believing him to be a fanatic of Grindelwald's in his agenda to put the magical community above the non-magic community through murderous means, Graves sentences Newt and Tina to death. Queenie overhears this as she read Tina's mind. While locked up, Newt explains to Tina and Jacob that an Obscurial is a dark force created out of a magical child's suppression to their powers. The children who conjure up the Obscurials also don't live past the age of 10. Newt and Tina are brought into a room where they are to be placed into a pool that will kill them. One of the witches extracts some of Tina's memories, which show her as a child, and another in which she is seen attacking Mary Lou and then trying to comfort Credence. Before Tina is killed, Newt unleashes one of the creatures in the room to escape with Tina. When Queenie shows up, they get Jacob and she sneaks them out in the briefcase. At the Barebone home, Credence is growing more and more unstable. He finds a wand in Modesty's room, which Mary Lou sees and thinks belongs to him. She gets ready to beat him again until Modesty admits the wand was hers. The Obscurial then gets loose and kills Mary Lou before destroying the rest of the house, leaving only Credence and Modesty as survivors. Graves later finds Credence and urges him to find Modesty, since Graves now believes she is the child that he foresaw. Newt, Tina, Jacob, and Queenie go to a magic speakeasy in Harlem called The Blind Pig. They talk to the owner, a goblin gangster named Gnarlack (Ron Perlman), for information on finding the last missing beast, a Demiguise that Newt named Dougal. Gnarlack wants something to trade, and he has his eyes set on a little Bowtruckle resting in Newt's jacket pocket. Newt reluctantly hands over the Bowtruckle, which reaches out for Newt. Gnarlack tells them to go searching in a Macy's. Almost immediately, Gnarlack reveals that he sold the heroes out to the MACUSA, who come in and start going after the heroes. Jacob punches Gnarlack in the face before they have to escape. The heroes go to the Macy's and find Dougal, who is looking after an Occamy hiding up on the ceiling. It causes trouble in the store for the heroes, but Newt tells Jacob and Tina to get an insect and a teapot. Jacob gets a roach and Tina grabs a teapot, so Jacob tosses the roach into the teapot, allowing them to catch the Occamy as it shrinks and is caught in the teapot. Inside the briefcase, Queenie sees a picture of a girl named Leta Lestrange (Zoe Kravitz), who has an old connection to Newt. He doesn't want to talk about it as their relationship seems to have ended poorly. Graves and Credence find Modesty in her old family home. When Graves makes it clear that he will not help Credence, his rage intensifies, and it turns out that he is the one who has been possessed by the Obscurial. His advanced age has allowed him to build up so much power, making him the most powerful Obscurial alive. Credence sets off on the city streets, leaving a trail of destruction behind him. Newt goes after Credence since he knows the Aurors will kill him without knowing the truth about him. He tracks Credence to an underground subway station and tries to soothe him back into his normal form. As Graves, Tina, and the Aurors all arrive, Credence returns to his Obscrurial form. Although Newt and Tina try to urge the Aurors to let them handle Credence, Picquery orders them to kill Credence. They fire their wands at Credence and destroy him. Graves then berates the Aurors for their rules and handling of the magical and non-magical communities. Picquery orders Graves to hand over his wand and surrender, but he defies her and fights the Aurors. He is able to protect himself against their blasts, but he is subdued by Newt and is bound. Newt uses the Revelio Charm on Graves, revealing him to be, in fact, none other than GRINDELWALD (Johnny Depp). He is promptly arrested. Newt uses Frank to take a potion into the sky so that it can rain over the No-Majes and obliviate them. Picquery thanks Newt for what he did, but also reminds him that Jacob has to be obliviated as well, since there are no exceptions. Jacob tearfully says goodbye to Newt, Tina, and Queenie, then asks Newt why he let him stick around. Newt says he likes Jacob and thinks of him as a friend. Jacob stands in the rain, but Queenie steps in with her wand to create an umbrella to kiss Jacob. When he opens his eyes, the three are gone. Jacob returns to his old factory job, still unhappy with where he is. Newt bumps into him and drops a briefcase full of Occamy eggs and a note explaining this so that Jacob can use it as collateral to open his bakery. Newt leaves to go back to London and says goodbye to Tina at the harbor. He promises to return with a manuscript of his book, "Fantastic Beasts and Where to Find Them", so he can personally give it to Tina.